“Awesome! I have a new zit,” said no one ever. Seeing a new blemish can often create a lot of stress and anxiety for patients. The good news is, you are not alone in the conquest to treat your acne. There are a lot of great options to help. Acne is one of the most common dermatological skin conditions in the United States. According to the American Academy of Dermatology, 85% of people have had acne at some point of their lives. Acne most commonly occurs in the teenage years, but can occur into adulthood as well. It doesn’t discriminate against men or women. Teens or adults. A common myth is acne is caused from eating chocolate or eating junk food. 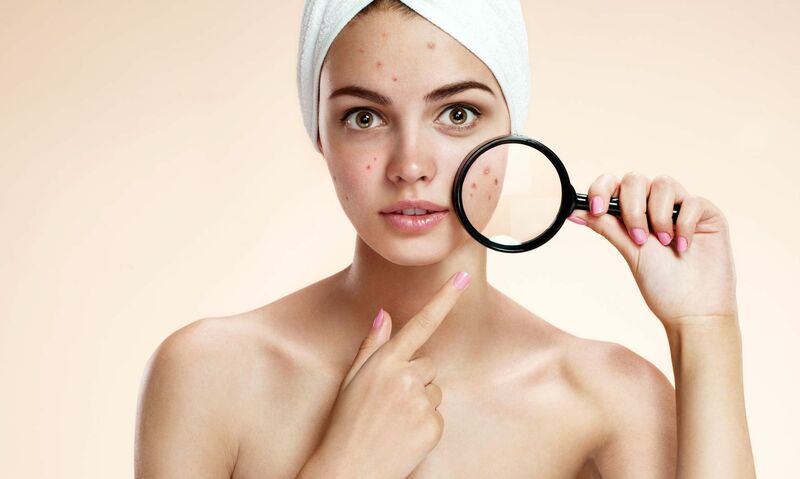 Acne occurs when pores (the openings to oil glands) become clogged with excess oil, dirt, and dead skin cells. These are often referred to as blackheads. The surrounding skin also can react and become red and inflamed, showing up as a red pimple (papules or pustules). Sometimes, inflammation can lead to even deeper, larger and often painful bumps known as cysts. It is always important to seek an appointment with a dermatologist if you are getting painful cysts as these can lead to scarring. If you get breakouts, there are some things to avoid as to not make them worse. • Avoid products that will further clog your pores. Look for products that are non-comedogenic. • Avoid excess dirt and oil. Wash off excess sweat, dirt and oil after exercising. • Always seek the help of a dermatologist to find the best regimen for you. • Oral Antibiotics: Can reduce inflammation to reduce the amount and frequency of breakouts you have. Doxycycline and Minocycline are two common antibiotics used. • Topical therapy: Topicals range in active ingredients and strengths depending on the type of acne you have. Topicals kill bacteria, exfoliate, un-clog pores, and reduce inflammation. • Acne Surgery: This procedure is performed in a dermatologist office and is used to safely extract blackheads and whiteheads. • CO2 slush: This procedure is performed in a dermatologist office to reduce redness and inflammation. No matter what your dermatologist recommends, it is important to be patient. Don’t give up if you aren’t seeing immediate results. A new regimen can take 8-12 weeks to see results. Make sure to follow up with your dermatologist to track your improvement and make any necessary changes if needed. Most importantly, remember your skin is worth the time and patience you put into it. Keep up the good work!